Pune, October 13, 2018: Mytrah Energy (India) Pvt Ltd (MEIPL), India’s leading independent power producer, today organised its signature event MYTRAHtalks in Pune, addressing over 400 students. The event was designed to educate students on the growing awareness about sustainability in India, exemplified by the incredible growth story of the country’s renewable energy industry. This sector has been a driving force of positive change and the significant capital investment in manufacturing, project development and allied services has led to increased job opportunities in this field for young people. The Pune chapter of MYTRAHtalks, organised at Symbiosis Institute of International Business (SIIB), was led by Sonam Wangchuk, renowned engineer, innovator, education reformist and one of the winners of the 2018 Ramon Magsaysay award, and R. Somasundaram, Head of Strategic Initiatives at Mytrah Energy. 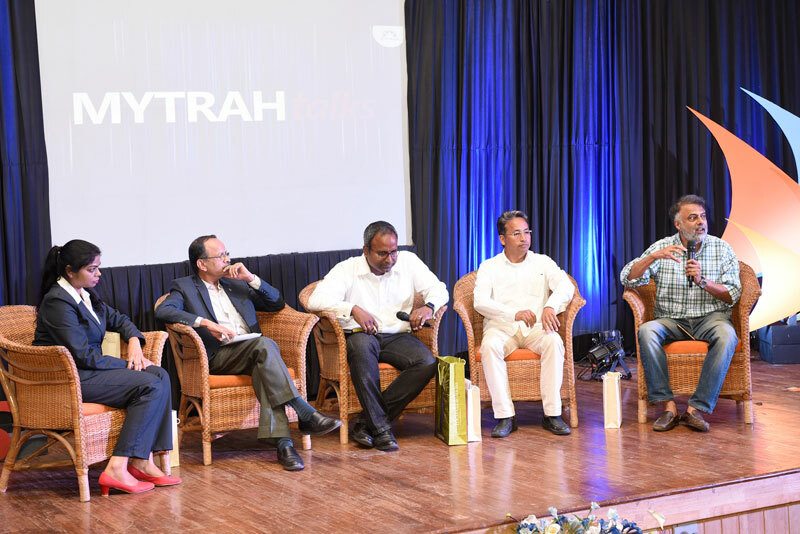 In addition to incisive panel discussions from several industry luminaries, MYTRAHtalks had also announced a call for case studies and research papers from students, faculty and researchers. The competition has been organised with the aim to provide a platform for those with an entrepreneurial mind-set to gain recognition for their ideas on shaping a sustainable future. Today Mytrah Energy announced the two winners. Rushik Hiwale from Pune is chosen as the finalist who will compete at the national level and Divij Bajaj from the city is the runner-up. The winners were felicitated at the event. Mytrah Energy (India) Private Limited is one of India’s leading renewable independent power producers and a pioneer in this space. The company has over 40 projects (operational and under-development) in the wind and solar power segments across nine Indian states (Punjab, Rajasthan, Gujarat, Madhya Pradesh, Maharashtra, Andhra Pradesh, Telangana, Karnataka and Tamil Nadu) with an aggregate capacity of 2.6 GW. The company also has a fast-growing portfolio of rooftop solar projects across the country. Mytrah has pioneered the adoption of technology across the entire renewable power development and generation value chain, be it by building the country’s largest wind data bank using over 200 wind mast locations pan-India, or by driving efficient management of power assets through its state-of-the-art Generation Management Centre. As India’s Smart Utility Company, Mytrah leverages its robust end-to-end capabilities ranging from site selection to financing, procurement, project execution and asset management, to efficiently generate clean power from its portfolio of renewable power assets.